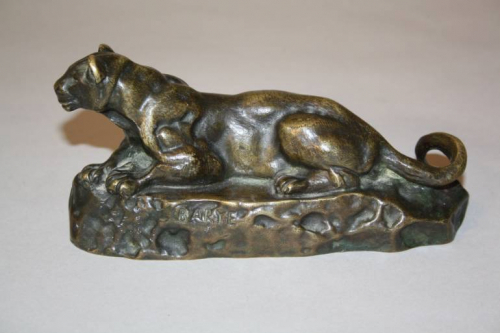 A French patinated bronze study ` depicting a reclining panther with curled tail. Signed Barye - who named this work "Panthere de Tunis" , Panther of Tunis. Cast by Barbedienne from a Model by Antoine-Louis Barye, c1880.